Spring is here and allergies may flare! It’s no picnic to be down and out because of seasonal allergies. 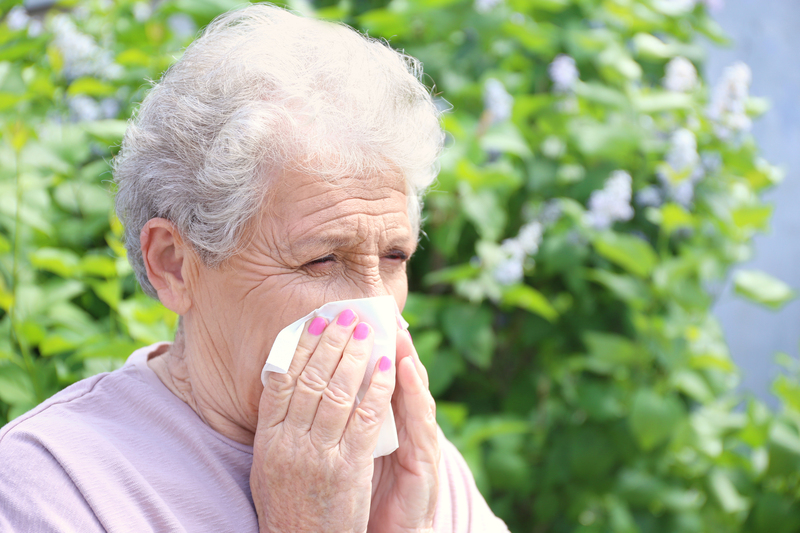 Allergies affect people of all ages, but can cause complications in older adults, especially if you already have some health issues. Here are a few tips to help you manage or prevent the onset of allergies. Identify and avoid the culprits. For some it’s flowers, grass, or dust. Figure out what may be causing your runny nose and stay far away. One common seasonal allergy is pollen. Always check the pollen count and, if possible, stay indoors when the count is high. Close all windows and doors. Rinse your nose and sinuses of pollen daily. You can use a Neti Pot or nasal wash spray to decrease your exposure to allergen. Consider dust mite covers. Use dust mite covers for your pillows, mattress and box spring to decrease contact with dust mites and keep them from aggravating your allergies at night. Vitamin C is a natural antihistamine. Speak with your doctor on recommendations for usage and dosages. Keep your immune system strong. Maintain a proper diet filled with lots of fruits and veggies. Speak with your doctor about additional supplements such as probiotics, vitamin D and fish oil. Always consult with your pharmacist or doctor to ensure any over-the-counter allergy medications will not interact with prescribed medications or other health conditions. Happy spring, without the allergies!